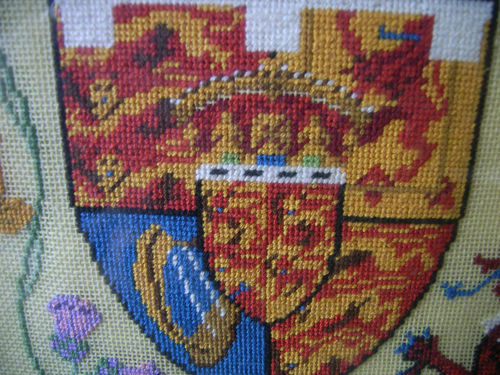 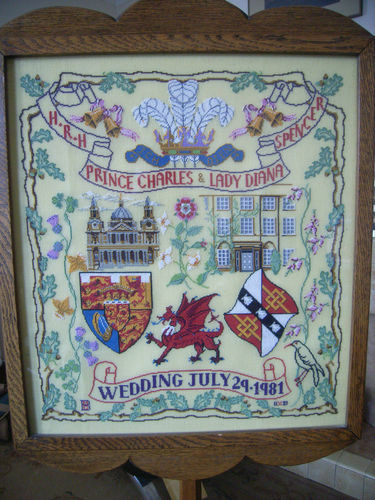 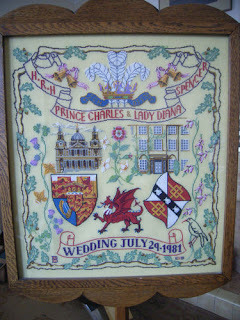 A cross stitch sampler with lots of detail to celebrate the wedding of Charles and Diana in 1981, measuring 11inches x 21inches. 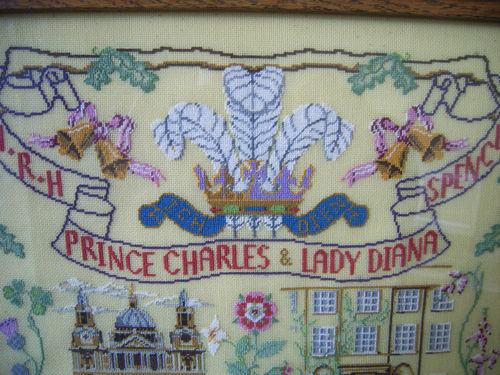 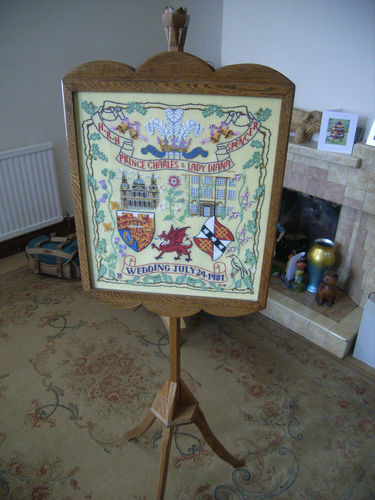 It could have been a kit or a chart; I've seen another example on Sylvia's blog, Linens and Royals, and she's tracked it down as a Royal School of Needlework design. 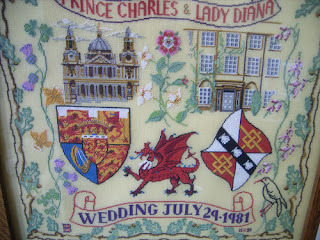 If you know more about this design, such as designer, source and so forth, please leave a comment.